Hannah and Tamar are looking forward to spending Thanksgiving break with their grandparents. On the long ride to Vermont, the sisters are quick to offer assistance when a fellow passenger – a girl in her late teens – is hassled by a rough-looking young man. Grateful as she may be for their help, Gwen is in no hurry to make friends, not even as she thrusts a mysterious package into Tamar’s hand and disappears in the Rutland train station. 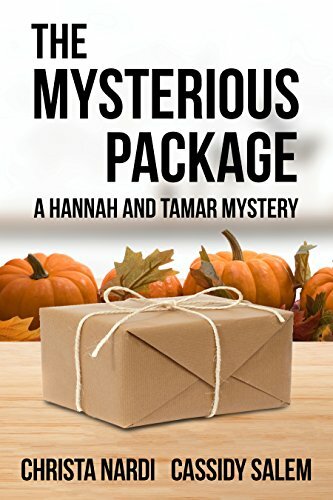 Puzzled by her behavior, Hannah and Tamar set out to locate Gwen and unravel the secret of the mysterious package.